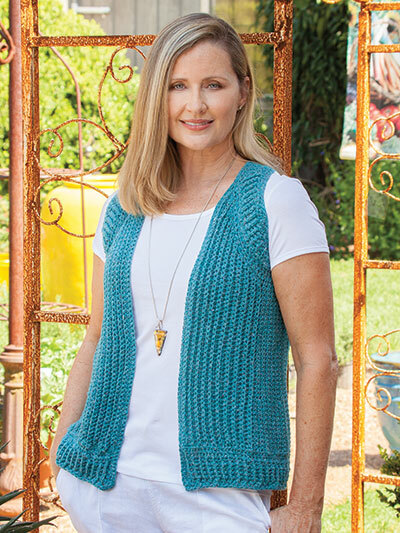 Add a little flair to your wardrobe with this offbeat vest full of texture and innovative shaping. This strikingly unconventional piece is designed to flatter all shapes and sizes for your next casual event. It is made using a worsted-weight yarn and size H/8/5mm crochet hook. Size: XS (S, M, L, XL, 2XL). 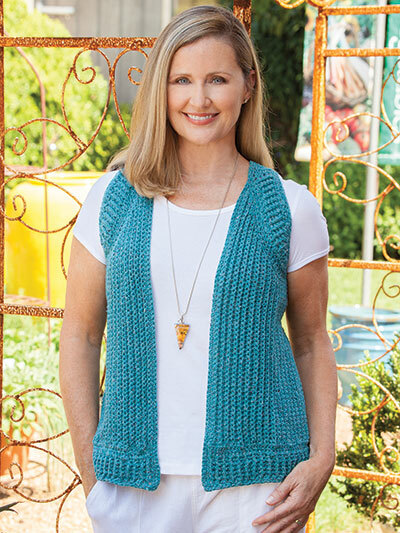 Design was originally published in Crochet! magazine Spring 2018.